I have rethought my purple and orange set, and I want to give it a bit of distance from the original idea in another interest check here so that it can have its own place to live and grow. The vision for this one is a lot more locked in than the previous thought. This set is based off of the classic video game character Spyro the Dragon. I remember as a kid always wanting to play Spyro on my mom's friend's PS1 because I thought there was nothing cooler than gliding around as a freaking purple dragon with an attitude. This set aims to bring the same attitude to the table. The alphas are purple to represent the beloved character's purple scales while the modifiers are a vibrant orange for two reasons. Spyro the Dragon on PS1's cover art features a gorgeous orange in fire underlining Spyro's name, and in the final installment of Spyro (Dawn of the Dragon) his wings were a beautiful orange. The bonus enter and escape keys are there to represent Spyro's best friend and dragonfly, Sparx. The highly contrasting colors should offer easy readability on the legends, and can make for some striking novelties once I have them designed. 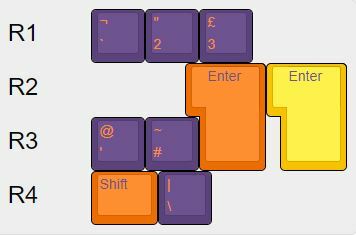 I was conscious when designing this set to use GMK stock colors (orange - V2, purple - DY, yellow - CV) to keep costs down and create a more predictable outcome with the colors. Yes, this set is loud, but I would say that it matches the character it's designed after and is completely unique as far as I know. 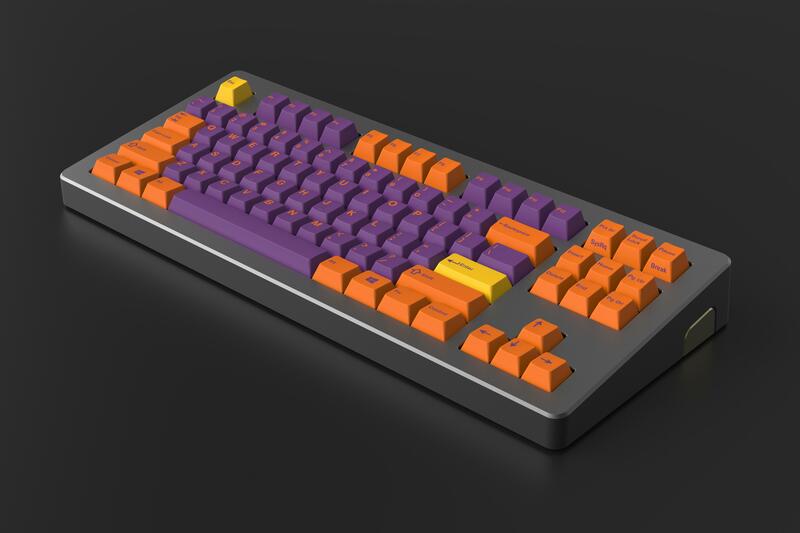 Here it is, the final GMK render of the locked in set. Quick disclaimer: This final render still had the handbag caps lock on the R4 1.25u caps lock. I went ahead and did a rough Photoshop job to change this to a text legend instead, so that's why the color doesn't look as pretty on that one cap as does the rest of the render. Also, I am in contact with a vendor, and will be working with that vendor in terms of next steps. UPDATE FOR THE CAPS LOCK KEY. The purse is out. I will be using "Caps Lock" instead based on feedback I've received on this thread and looking at the general sentiment towards it from the community at large. Also, that's where Control belongs anyway, so I won't even see my beloved purse if I had left it in. Also. After that legend change, THIS SET WILL BE LOCKED. 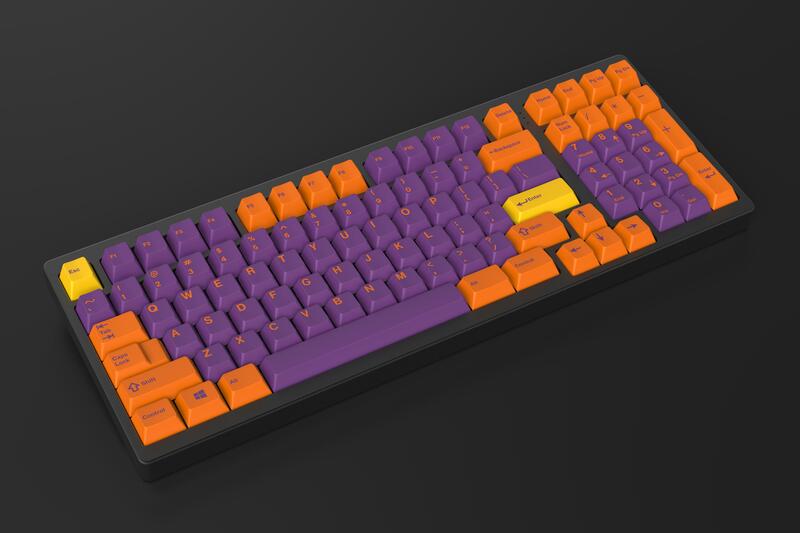 The new GMK render isn't reflective of that change yet, and I will let them know that is the final piece that is changing. Everything else is accurate in the updated render though. Enjoy the pretty picture. Should have something cool for you all in the coming weeks. Meantime, I'm continuing to contact vendors. Also, MOQ... That's an important acronym when dealing with niche kits. Therefore, say goodbye to small kits. Say hello to MONSTER kit. Should be final form unless there is a super compelling reason for it not to be. I have updated the keys included in the set as well as split it into kits to hopefully make this more affordable for most people as they only buy the keys that they need. Was inspired by how Zambumon is doing Jamón as well as how modular SA kits typically are. Copy the code snippet above. Modify your forum profile signature by pasting the copied code into it. Spread the word about this set if you're interested! 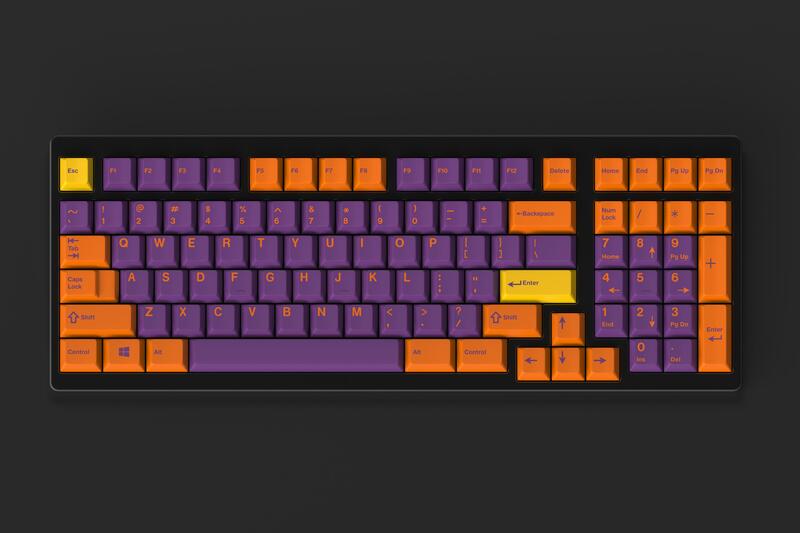 Finally an orange and purple set (Phoenix Suns colors). Hell yeah I'm in. Haha 1 for 1 so far. This set therefore needs a "34" novelty keycap. 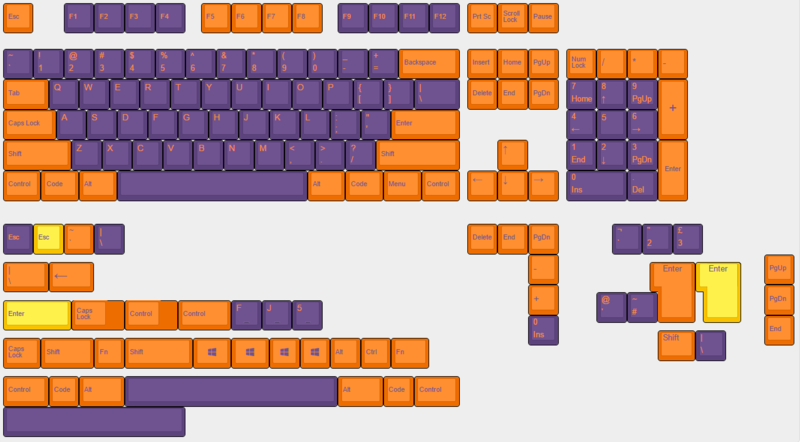 Added another mockup of a TKL set. Would like to pay to get some nicer renders done if there's an appetite expressed for it. This shade of orange looks slightly weird, is it just the renders? I definitely think so. 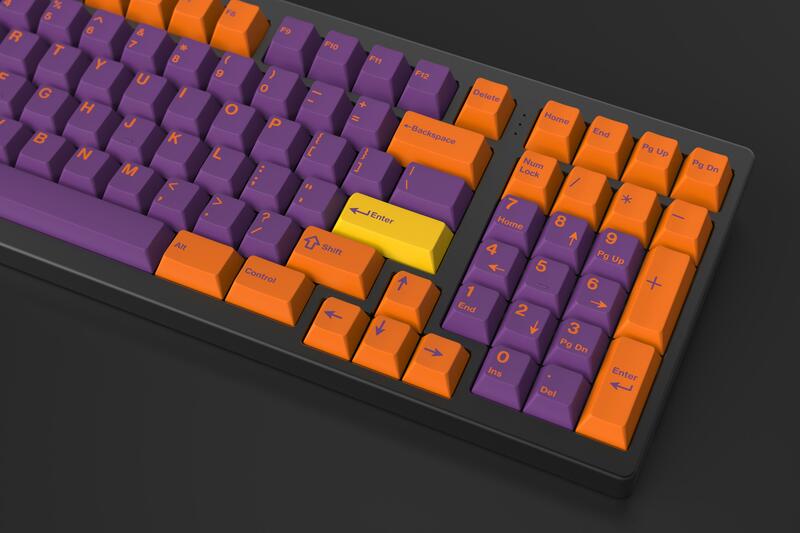 It would be using the stock orange that GMK uses. Have a feeling this will have a slow hype build, but I'm in to find a way to make this happen. Who's that? My knowledge of 90s basket-ball is pretty limited. Also, for those of you wondering about the exact colors that will be used, as previously stated, I will be using V2, DY, and CV. 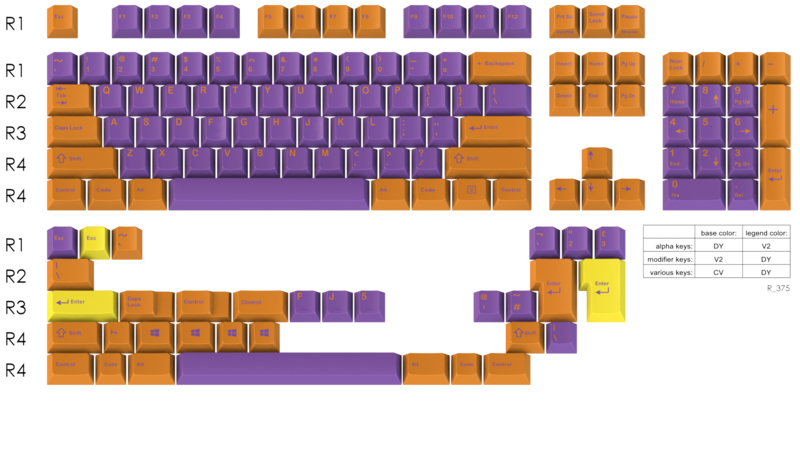 Below is the link to GMK's color samples, as I wasn't sure if it was cool if I pulled in their picture or not. I'm interested the Spyro games were badass back in the day. Couldn't agree more. All aboard the Spyro hype train. Awesome looking set, hopefully it makes it to GB! I would be in for this! It doesn't fit any of my current color schemes but the contrast is looking really good. Definitely carves out its own color scheme. Appreciate the support! If I can get this running, is there any preference in vendors? What are the vendors are you considering? Well I'm sitting at an interesting intersection here. I want to run this for as cheaply as possible (I actually plan on losing a little cash doing this group buy), so Massdrop is definitely the top in my mind to do just that. However, I have seen a really well done process for group buys from both Originative and Zeal, and would love to work with them should I ever be fortunate enough to have that opportunity. A HUGE part of this really depends on if any of the three aforementioned vendors would be wiling to work with me on this project. Glad someone else could appreciate the reserved colors of this set . I like your thought process here and the fact you want it to be reasonably priced is a huge bonus to me. I find some sets are just too expensive by adding too many options for a few people. I guess the next step would be to contact these vendors and see if any are interested and go from there? I'll be making that the next "next move". 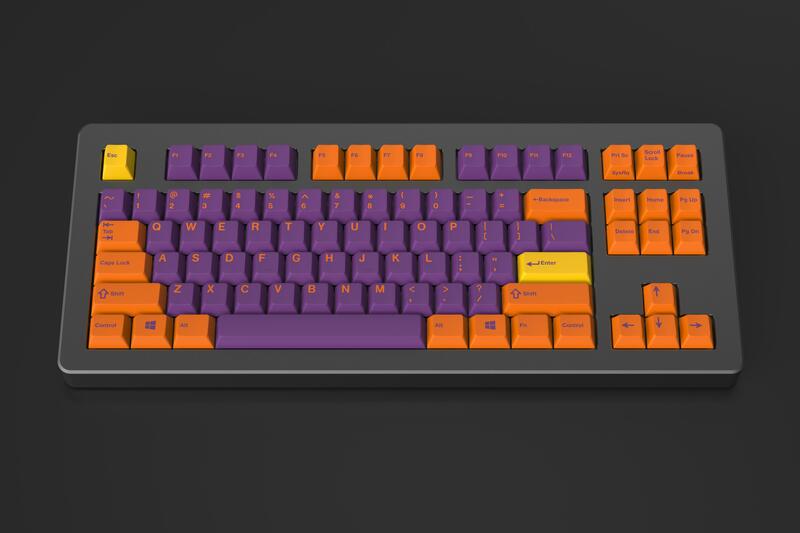 I got a little antsy and contacted GMK a few days back to get an idea on price and a GMK render that will have a more accurate representation of the colors (again all stock GMK colors). They said they'll get to it as soon as they're able to as they have many other requests at the moment. I'll share what comes of this when I'm able. 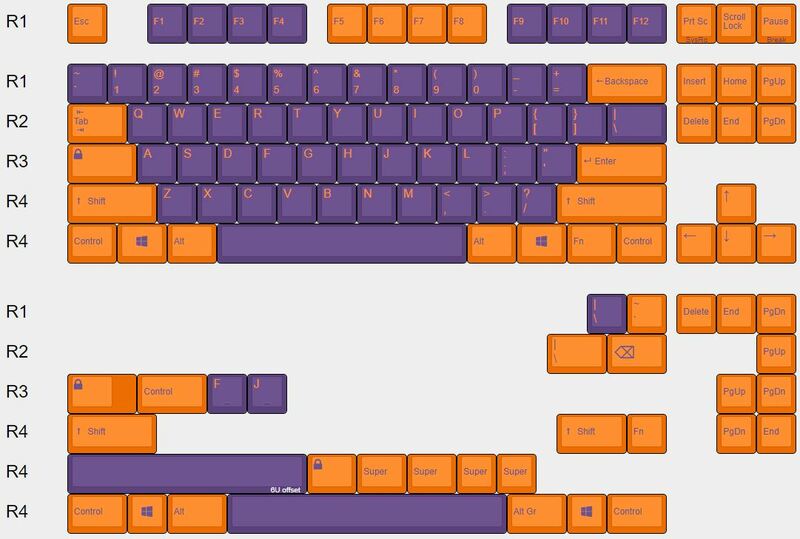 Using Massdrop there would be more exposure for the set. 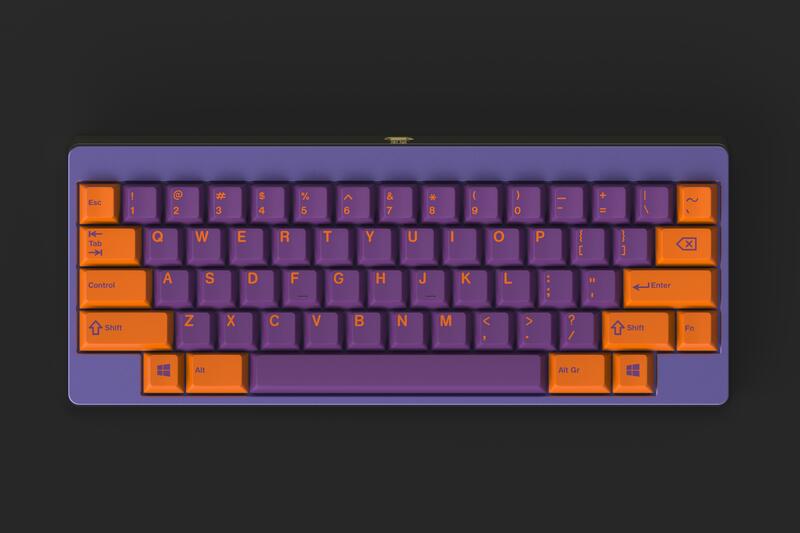 Yeah, I'm thinking that after I hear back from GMK, I'll start a poll on Massdrop. Had one thought I want to run by everyone, and it's definitely not set in stone yet, but it would be a move to aim for cost consciousness. 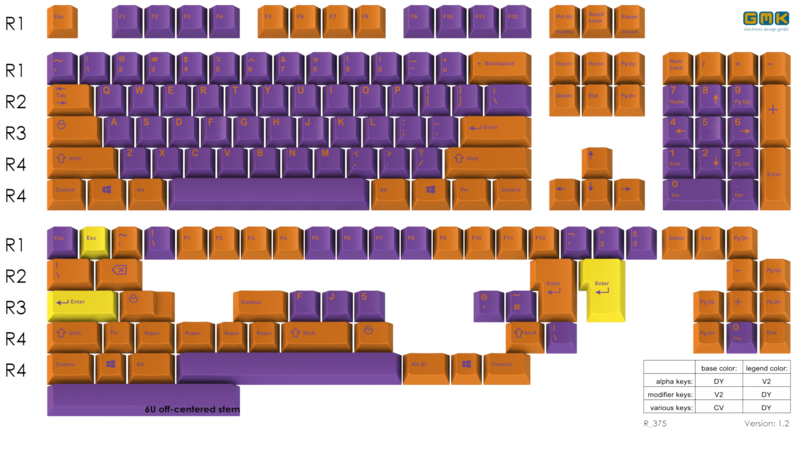 Would there be any interest in me looking into JTK for this set? This is purely a spur of the moment question as well because I'm unaware of how exactly to get a hold of them yet, if they have capacity, or if there's any blockers to me being allowed to work with them (because of vendor exclusivity or anything of the sort). Just wanted to see if the interest is there so that costs could be brought down further. I haven't used GMK or JTK. Though $70 is way cheaper. 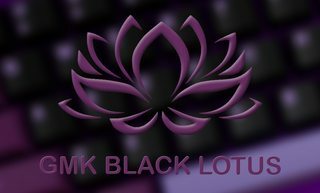 You can ask BunnyLake as he has dealt with JTK recently. 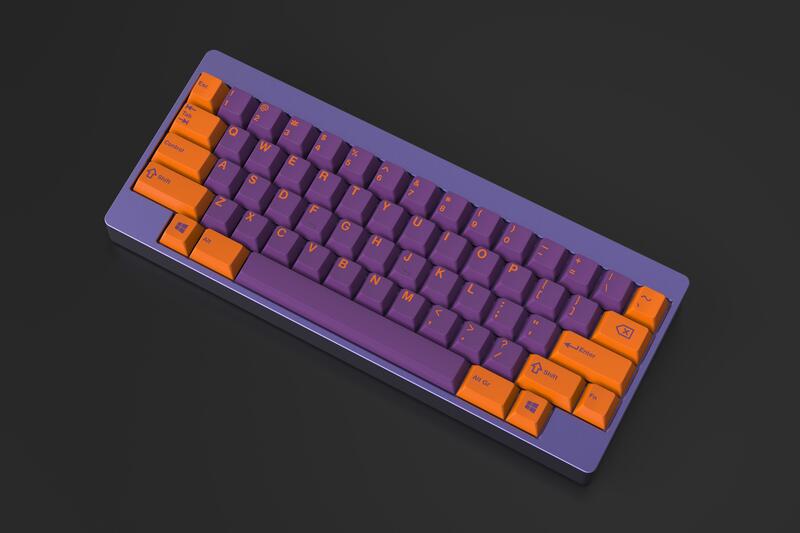 One issue with JTK would be the wait time; turnaround doesn't seem as quick as GMK since they're still tweaking things (legends and such) whereas GMK is already good to go. They also don't have as much compatibility, or at least they didn't for the Debut/Sophomore sets. Of course MOQ is also a big factor, if they have a lower MOQ then that would be a pretty big benefit since I imagine this is a pretty polarizing design so who knows how many orders it'll get. JTK or GMK, I'm fine w/ either. A primary JTK take away no iso enter key. Appreciate the feedback so far, and I'm glad this got a Saturday bump. You all are keeping the dream alive. So, I just got my render in from GMK, and WOWIE! I think it's absolutely gorgeous. I have attached it to the original post, but figured, I'd add it here as it is an update. I will get a quote once I confirm that this is the extent of what I'm looking for, but I wanted to get a final chance for input before I say yes to it. Note: I will probably do a novelty or two down the road for this, but the goal with this set is truly affordability and a unique colorway. Let me know your thoughts! Looks great, looking forward to seeing the pricing. Only thing I can think to maybe add, is a yellow caps lock to go with yellow enter. But I don't know if that will look any good or not..or be worth adding. Trying to decide if I want to add a 6u spacebar. Really thinking I want to add support for HHKB layouts. HHKB layouts have become increasingly popular so I think it'd be a good addition, won't increase the price very much but will open it up to new potential buyers. Along the same lines, a second 2.25u shift would be a good idea for FC660 layouts. You might also want to add a 1.5u Backspace or Delete to complete the HHKB layout support. I second the addition of the extra 2.25u Shift. A 1.25u CapsLock would be great too. Also, I might be a little late, but no 1800/65-75% support? Working on some ideas for a novelty cap or two. Just for options. Here's an idea of what I'm looking at for the expanded support layout. Let me know thoughts here. I think I have all the necessary keys added in. I am totally down supporting these layouts so long as I don't explode the costs, but I think all of these suggestions so far are reasonable and VERY helpful. Thanks, you all are awesome! If another keycap can be squeezed in, I would suggest a 1.25u Fn to accompany the 1.25u Code and Win caps. 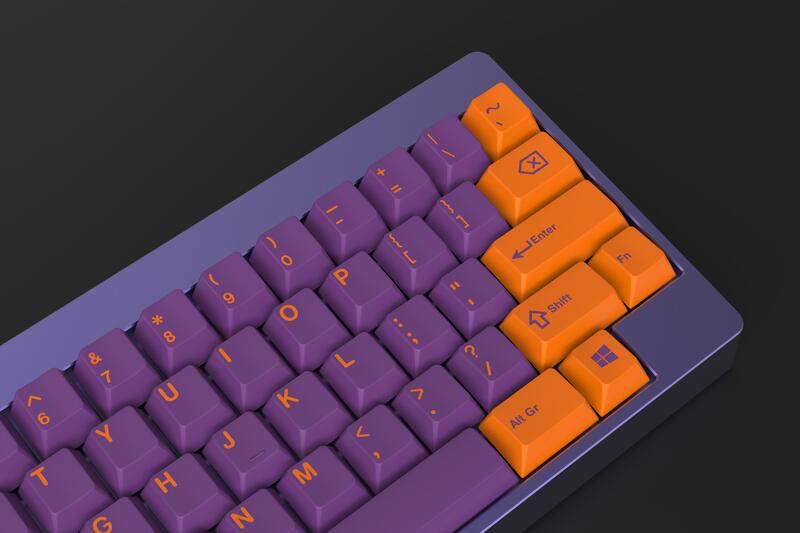 The GMK render looks really good. Definitely looking forward to this even more! I agree with you, adding the 1.25u Fn key. I'm pretty happy with this list as it covers some of the most popular layouts. Thinking I'm safe in holding here for adding any keys to balance costs and supported layouts. 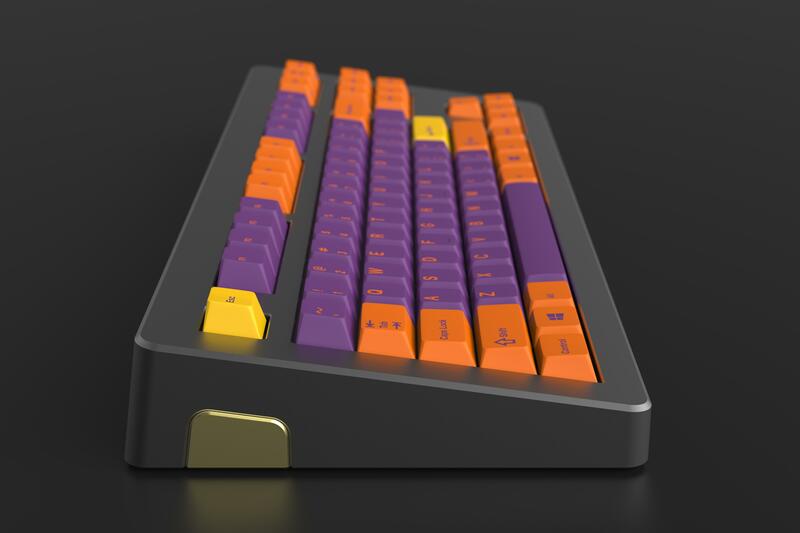 Let me know any further thoughts, because I want to get back in contact with GMK soon to get an updated render / Quotes and then keep on pushing forward with this IC to get it to a group buy soon. Appreciate the support so far everyone. I'm dying to make this dream a reality. Getting this successfully through group buy is one of my big personal goals for 2017. Would be awesome to see an option for a spacebar kit similar to what was done for Carbon. 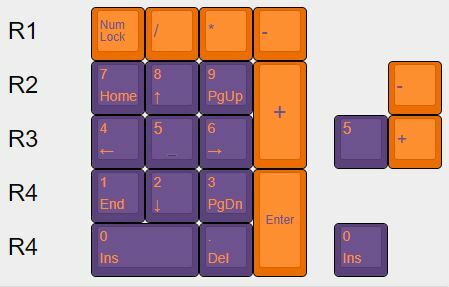 I have some exotic layouts to fill, so additional R4 2u, 2.25u and 2.75u keys are super useful. I would love to do something like this as it would sit separately from the standard kit, so it shouldn't drive its price up more. If I can see the interest for this, I'd 100% be on board. Just thinking that because this is a more niche set, it'll be tough to reach MOQ for it. Not ruling anything out just yet though. I would get the split-spacebar kit too. Tempted to do that as I'm a split fan (Wizards for where I'm originally from and Suns because of the Nash era as a kid), but I think I'll only have 1 or 2 novelties tops, and I want to keep them within the theme of the set. As far as spacebar kits go, I'm noting another person interested in it. Page created in 0.289 seconds with 72 queries.